Carley Kent graduated from the University of Exeter, with a degree in Chemistry and an MSc in Polymer Science from the Polymer Centre, Lancaster University. She spent some time as a research chemist at Sheffield University and BNFL Westinghouse (Preston), before working at Victrex for seven years in the Quality Department. 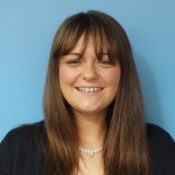 Carley joined AGC Chemicals Europe in 2014 in a Technical Support role, and is now the Technical Service Manager for ETFE, PFA and Aflas®, covering the whole of Southern Europe.